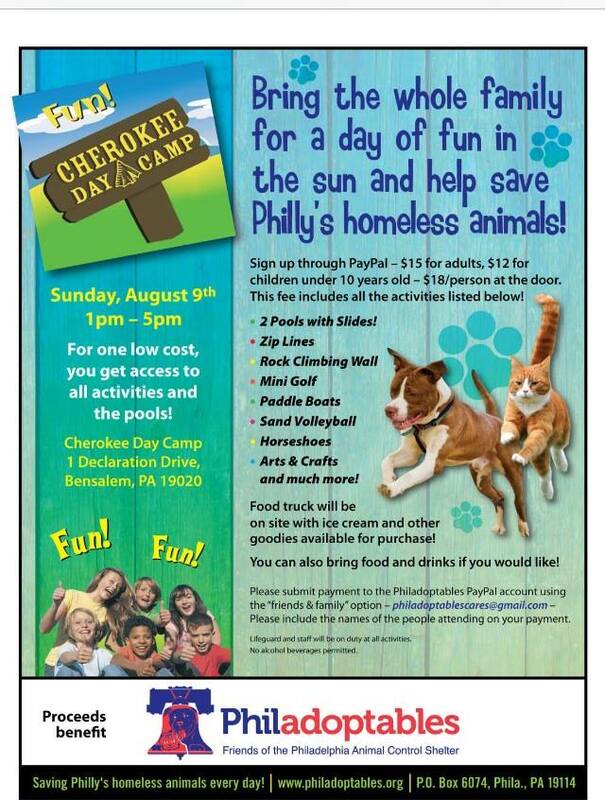 Join Philadoptables for a day of fun in the sun at Cherokee Day Camp! This is a day to relax by the pool and enjoy fun outdoor activities! Activities include 2 pools, zip lines, paddle boats, min golf, volleyball, mini golf, rock climbing wall, horseshoes and much more! Please pre-pay for this event through PayPal using the friends and family option to Philadoptablescares@gmail.com. Please include the names of the people attending when you submit your payment. Food truck on site with goodies for purchase! We will also be accepting donations of dog and cat treats to help Philly’s homeless animals!